Kicksite has a communications system designed to send messages to students for timely studio and program notifications. A list of all current and past General Announcements will be shown. The list of announcements will include information of the announcement, including the delivery status. 2. Hover over the Messages menu and click on New Announcement. 3. Make sure to include a Title and a Subject. The ability to select the audience gives the opportunity to customize the message for a specific purpose. 4. 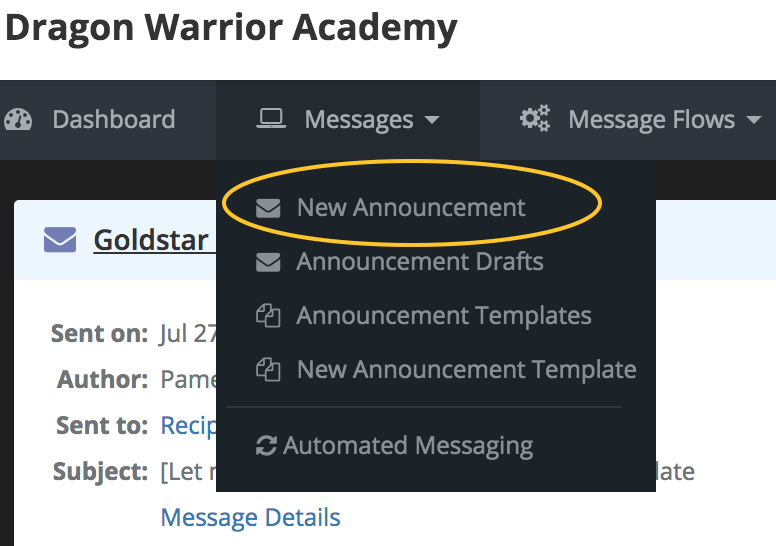 General Announcements can be sent as an email or as a text or both by toggling the Send SMSor Send Email options. 5. (Optional) If you want to sent the announcement later, toggle on the Schedule for Lateroption. 6. (Optional) Choose the date you want this announcement to be sent out. 7. 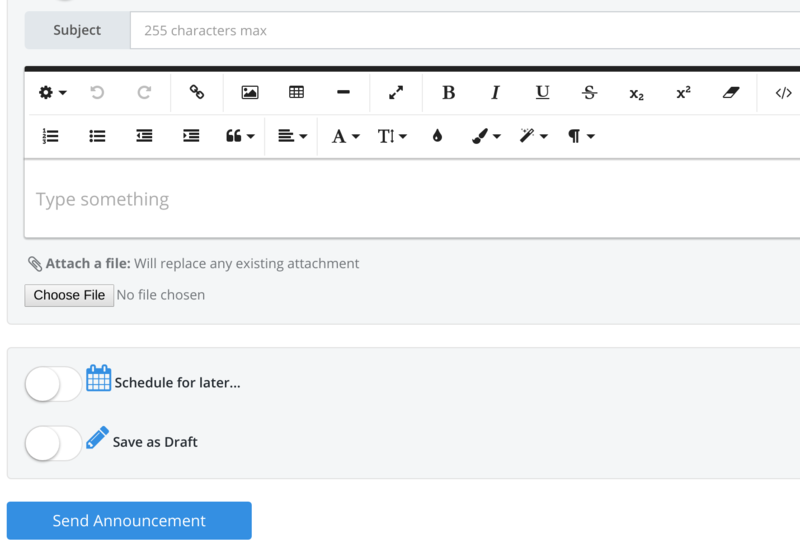 (Optional) Toggle on the Save as Draft option to keep in your draft message lists. 8. Click on Send Announcement to deliver the announcement.